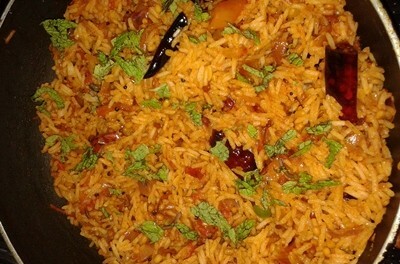 Tomato rice is not only delicious and flavourful, but it is also very easy to make.Tomato Rice / Thakkali Sadam / Thakkali Choru recipe is one of my favorite mixed rice recipe. 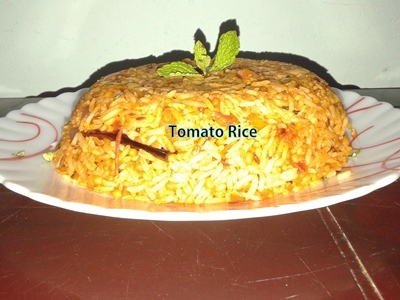 Its so simple and easy, you can prepare this under 30 minutes and if you have left over rice you could use that to make this tomato mixed rice. 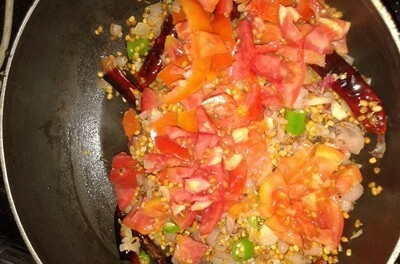 The tomato has been referred to as a “functional food,” a food that goes beyond providing just basic nutrition , additionally preventing chronic disease and delivering other health benefits, due to beneficial phytochemicals such as lycopene.Tomatoes are a rich source of vitamins A and C and folic acid. 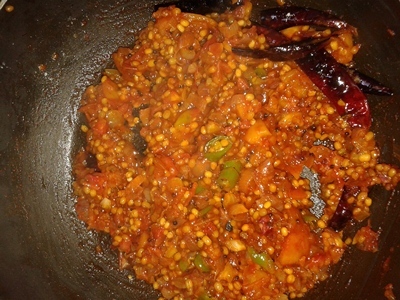 Tomatoes contain a wide array of beneficial nutrients and antioxidants, including alpha-lipoic acid, lycopene, choline, folic acid, beta-carotene and lutein.Urid dal provides many of the nutrients your body needs, such as protein, fat, and carbohydrates.It contains abundant protein, the building blocks of good health. 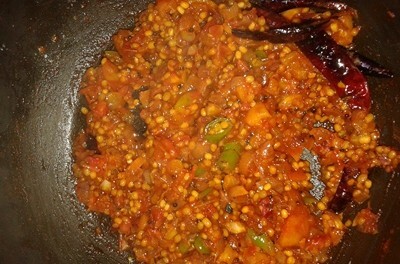 The iron, folic acid, calcium, magnesium, potassium, and B vitamins in urad dal help meet your vitamin and mineral requirements. 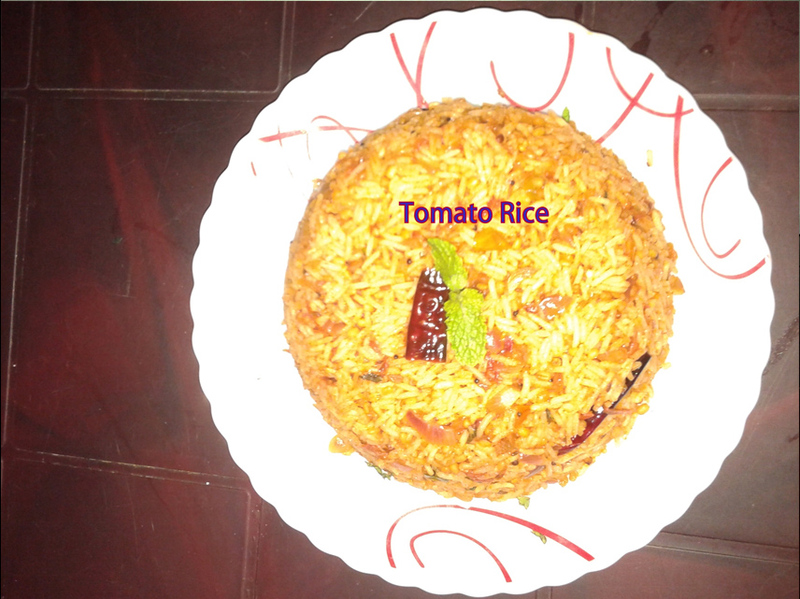 Although I must admit that making perfect tomato rice requires practice and I can say that I am nearly there. 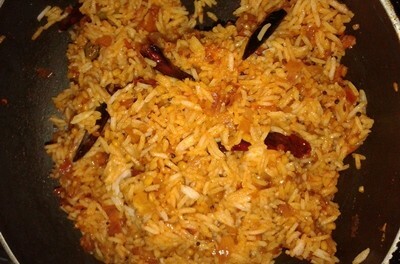 This spicy and tangy rice preparation is ideal for packing in a lunch box, and sure to be enjoyed by young and old alike. 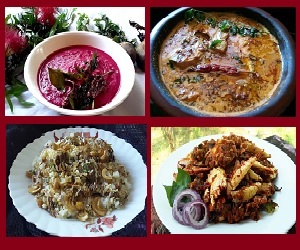 Enjoy it hot and fresh with papads or pack it with a katori of coconut pachadi; either way it will taste just as appealing, as it combines an assortment of ingredients that complement tomatoes best! 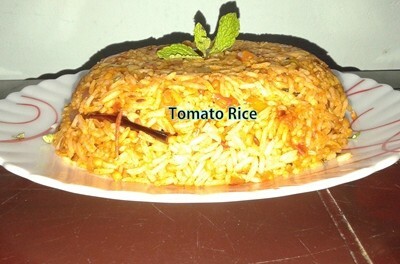 A masala of common spices, and a traditional tempering that includes peanuts too, ensure that the Tomato Rice is perfect for all to relish.This is very healthy yet delicious rice recipe with tangy flavor of tomatoes. 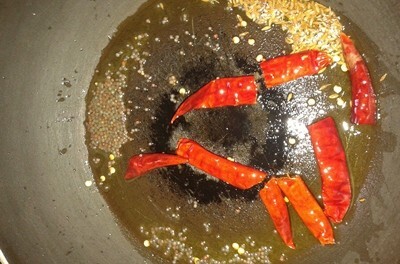 First of all,We have to cook our rice . 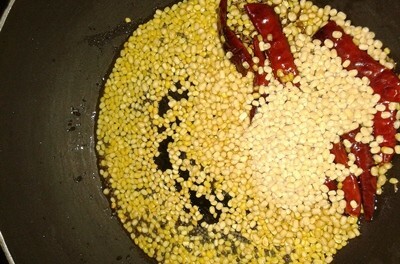 For that wash the rice well. 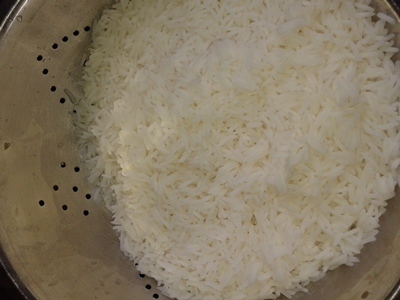 Then take a pressure cooker, into that add 6 cup of water and add the cleaned rice.For me i just need 4 whistles to get cooked the rice . 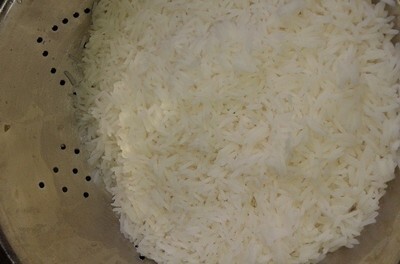 Like wise , you may know the cooking time for rice. 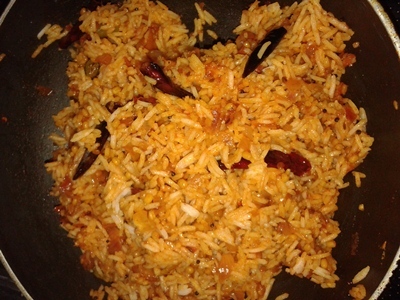 After that strain the rice well and keep it aside. 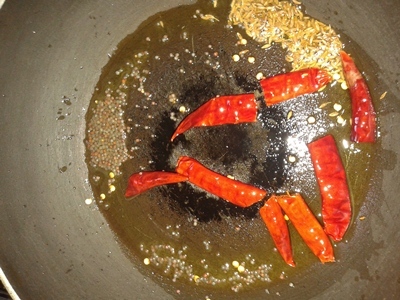 Heat the pan in which we are making the tomato rice. 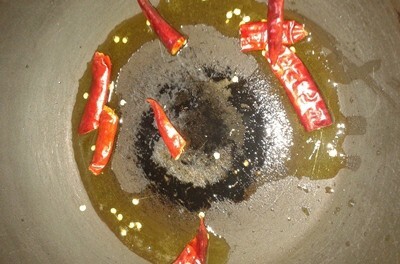 Add some ghee after that add red chillies into it and make it salute. 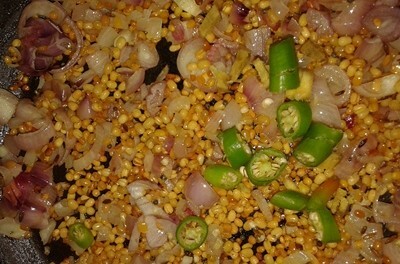 After that we can add our mustard seeds, when it get splutter. 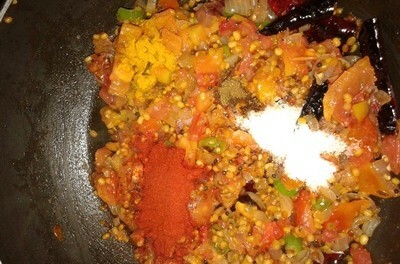 Add cumin seeds and again splutter it too. 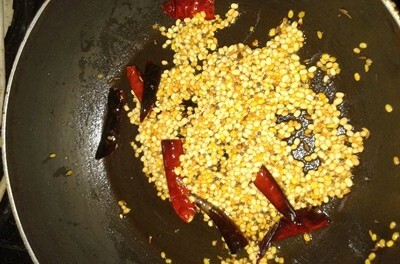 Now our turn is to add moong dal and urid dal into the frying pan splutter it well. 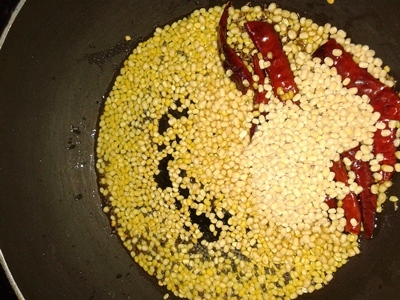 The moong dal and urid dal , both gives a crispness to our dish. This really tastes wonderful. Let it until you get a light brown colour. 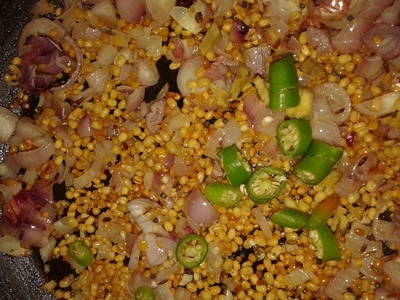 Now our turn is to add our chopped onion following by chopped garlic, ginger and green chillies and salute it until the onions get cooked. 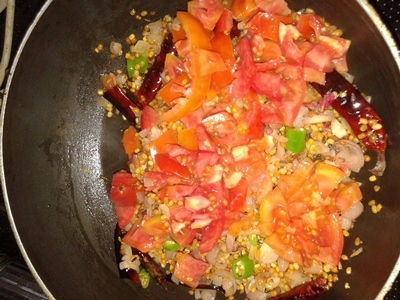 After that we can add our chopped tomatoes into the pan. 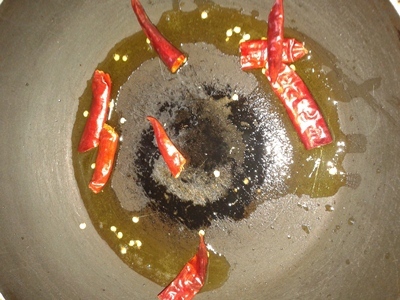 Cover wit cook it for 5-10 mins at low flame. 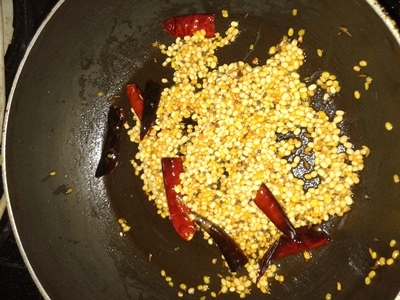 then we can add red chilli powder, turmeric powder, garam masala and salt as per the taste in to the pan. 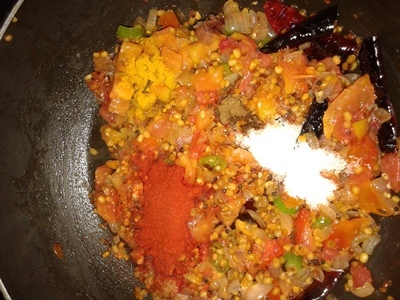 Again cover and cook for 10 mins. 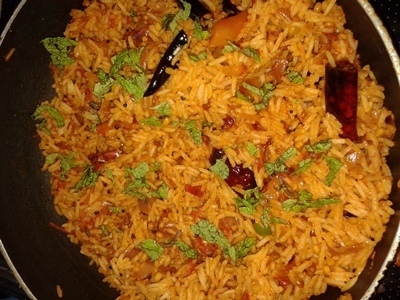 Then add mint leaves over the cooked tomato rice. 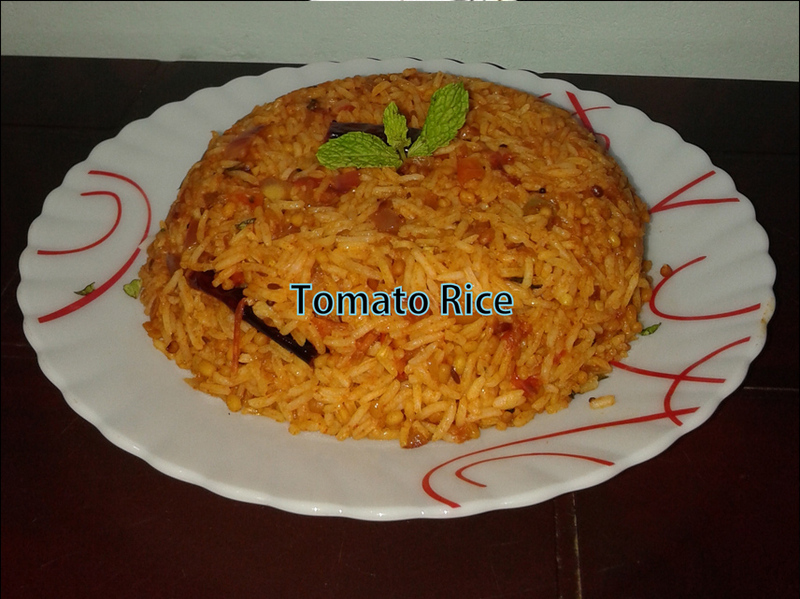 So here our delicious tomato rice is ready to serve.